AVCHD, produced by Sony and Panasonic, is a file-based format for the digital recording of high-definition video. Camcorders save recorded video and other files like thumbnail, clip information, playlist, etc in a folder structure. Usually, the AVCHD video file has extension of .mts or .m2ts, and saved in /PRIVATE/AVCHD/BDMV/STREAM folder. So you just need to right click the AVCHD file, choose show in folder, open the .BDMV folder, then open the STREAM folder, you are able to drag the .mts or .m2ts file to Filmora. Why can’t I apply the transition to the video? Currently the transition can be applied to the media on the 1st track (also known as Video track) of the timeline only. If you have dropped the media to the other tracks,such as PIP track. You have to remove them manually. Then go to Media library, drag and drop the media to the 1st track. Lastly drag a transition to the media from transition library. If you receive an error “Loading completed. 1 file failed to load ” while importing media files, please follow below instructions to get rid of it. Can you play your media file on Mac with iTunes? If your files can not be played with iTunes, it might be damaged. Our program might not support it. If your files can be played, please copy it on desktop and load it again. Whether your video is DRM protected? If you purchase it from iTunes or other places, they might be DRM protected, which is not supported by filmora. Did you try other media files? Does it load other video successfully? Also, please save it to the local hard drive of your Mac instead of dragging it from any other external device, such as camera, flash drive…etc. 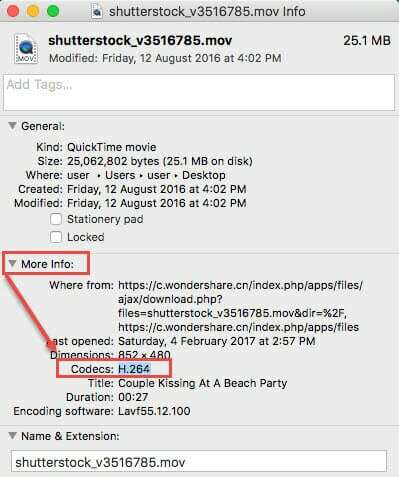 If the video can be played with Quicktime Player, you're recommended to transcode it before importing to our application. 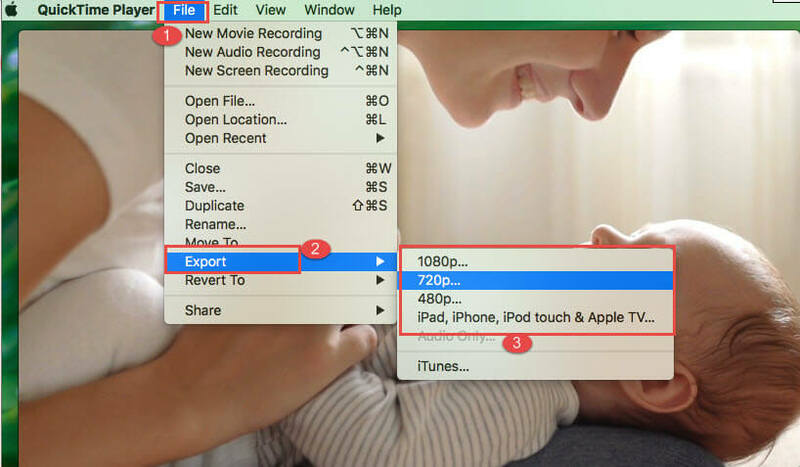 While the video file is playing in Quicktime Player, go to Export under File. Then select a format under Export. It will pop up another window. Then follow the on-screen instructions to re-encode the file. 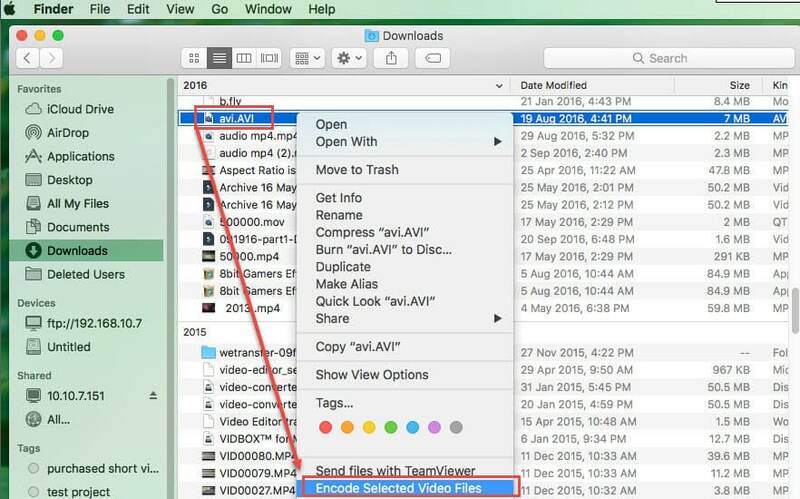 Or you can right click on the video file in Finder, select Encode Selected Video Files. An “Encode Media” will pop up and allow you to setup the quality and format settings. Lastly press Continue to start the transcoding. Why is the video blurry after dropping to the timeline? Actually, after you load the video to the timeline, it will be compressed to a lower resolution as 360P to set the preview window, so there will be quality loss while previewing. But generally the output quality will not be affected as long as you adjust the output settings ( resolution, frame rate and bit rate) as similar as the source media. How to fix the lagging playback on timeline while editing? 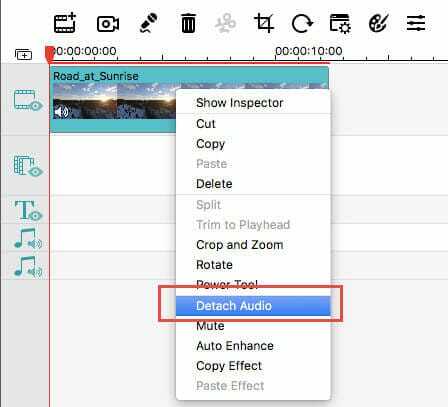 If the playback on timeline appears to be lagging or out of sync, you can detach the audio from the video first. 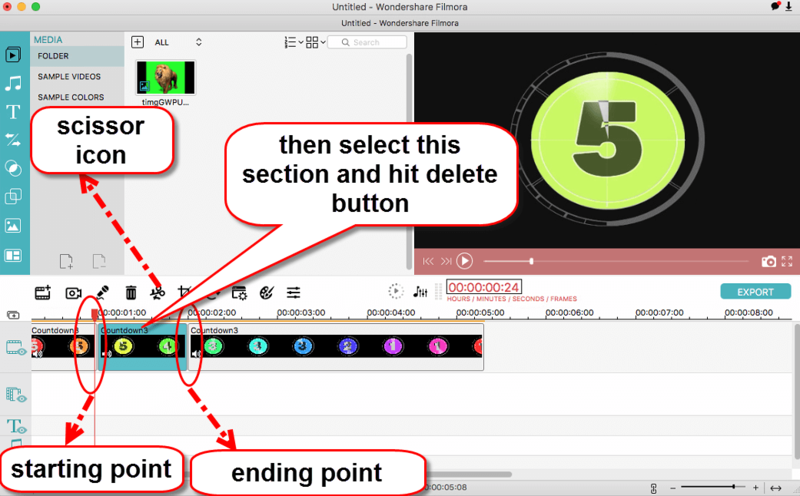 Then highlight the video part on timeline, press the Render button to render the timeline. You will get a smoother playback after rendering. How do I cut parts of the videos in middle? Move the red indicator in the timeline to the starter of the part you want to cut, press the scissor icon to split it. Move the red indicator to the end of the part you want to cut, press the scissor icon to split it again. Then the clip will be split into 3 parts, select the chunk in the middle, right click and choose Delete to remove it.